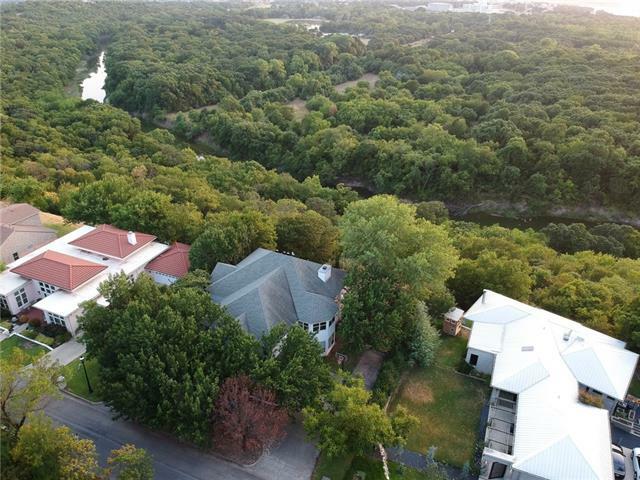 All River Oaks homes currently listed for sale in River Oaks as of 04/25/2019 are shown below. You can change the search criteria at any time by pressing the 'Change Search' button below. If you have any questions or you would like more information about any River Oaks homes for sale or other River Oaks real estate, please contact us and one of our knowledgeable River Oaks REALTORS® would be pleased to assist you. "Beautiful, one of a kind custom home with spectacular breathtaking views. It is a private oasis in the middle of the city close to downtown and cultural district and just minutes from the brand new River District development. Just walking distance to Inspiration Point, which is a favorite lookout point for families, hikers, and mountain bikers. This home has a very open floor plan that is great for entertaining and has tons of natural light. The garage is over 800 square feet with 3 closets"
"OPEN HOUSE this Saturday 4-27 from 12-3PM. 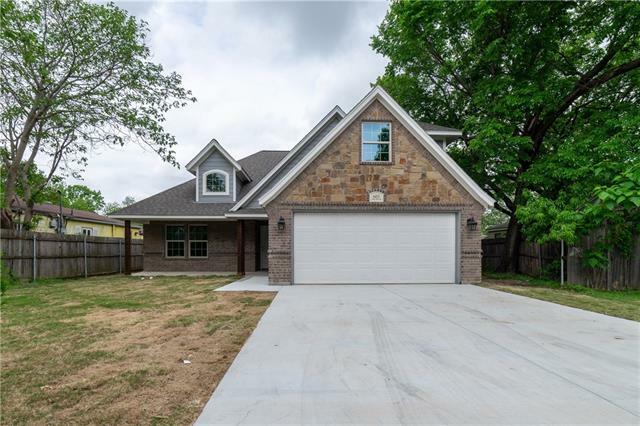 This stunning new construction home is waiting for you to call it home! 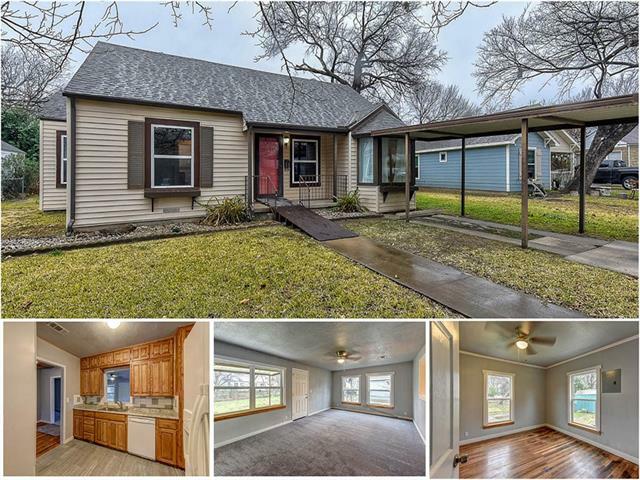 It's situated just minutes from the Riverside district, 7th street and a short walk to the CISD schools. Tio Homes did not skip out on any small details! This 4 bedroom, 2.5 bath split floor plan has everything you need. Entering the home you will be greeted by a beautiful limewashed fireplace, 10ft ceilings, and an open living area. The kitchen features white custom shaker cabinets"
"BEAUTIFUL HOME JUST COMPLETED IN MARCH AND WAITING FOR NEW OWNERS TO ENJOY EVERY INCH OF THIS WELL DESIGNED HOUSE . THE MASTER IS DOWNSTAIRS AND THE OTHER TWO BEDROOMS ANS PLAY AREA IS ON THE SECOND STORY. THE KITCHEN IS VERY NICE WITH GRANITE COUNTERS AND EVERYTHING THE CHEF OF THE HOUSE NEEDS TO WHIP UP THE PERFECT MEAL FOR FAMILY OR FRIENDS . THE BACK YARD IS FULLY FENCED FOR TOTAL PRIVACY . MINUTES FROM THE RIVER DISTRICT AND BIKE TRAILS . CONVENIENT TO THE BASE OR DOWNTOWN AND ALL THE FR"
"Beautiful 3 bedroom 2 bath is located in the River District. 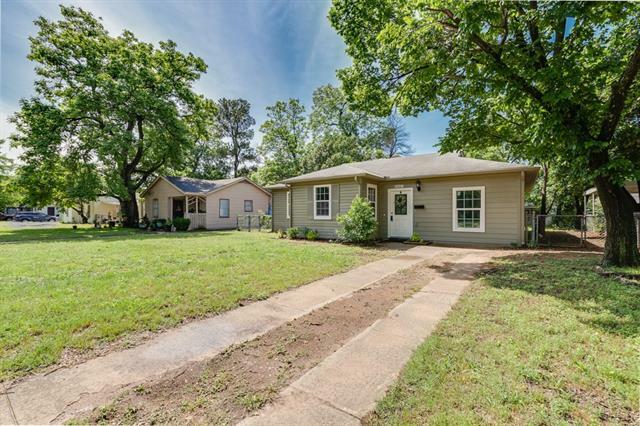 It's just minutes from downtown, West 7th, Montgomery, Camp Bowie, and TCU. Great Location!" "Ready for Summer!! 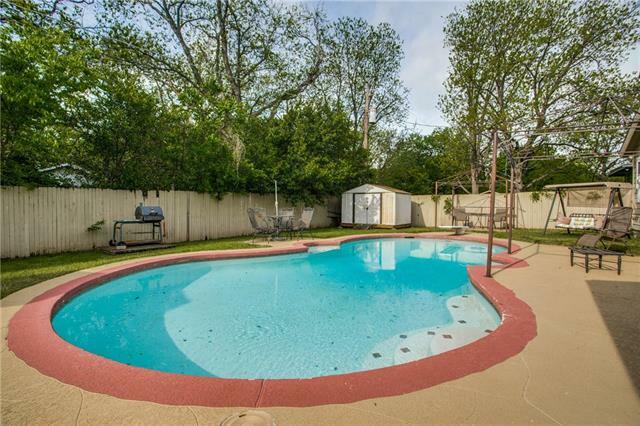 This house is with large backyard featuring a inground pool with plenty of space to entertain. A MUST SEE with plenty of storage and charm including original vintage knotted pine paneling, brick laid vestibule, 3 bedrooms and 2 full baths, Master bedroom boosts 3 closets. Kitchen with double sink and pantry, 2 large living areas along with separate dining room. plenty of storage and charm throughout. Vintage Knotted pine paneling in second living space." "OLDER HOME COULD BE LIVED IN WHILE YOU HAD YOUR DREAM HOME BUILT ,BUT IT DOES NEED SOME FOUNDATION WORK ESPECIALLY IN THE KITCHEN AND SOME TLC GREAT LOT 77X326X734X331"
"This MUST SEE cottage offers granite counter-tops and stainless appliances and much more. You will love the oversized lot adorned with mature trees and pretty landscaping. The brick walkways and vinyl fencing offers a clean and crisp look. From the front door with its divided lights and lead glass to the covered patio this home is sure to impress. Living area is large with nice built-ins & hardwood floors, pass this into the kitchen you will find a nice breakfast area gorgeous granite counters. " "Home Smells Like NEW!!! Owner has completely remodeled this custom designed home with great pride just for YOU! 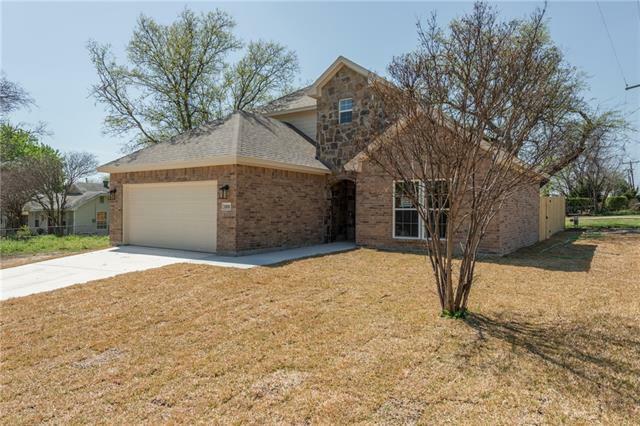 Fresh paint on new walls with baseboard molding through out, New windows, New plumbing, New fabulous hand scraped hardwood floors in common areas; New ceramic tile in wet areas and New plush carpet in bedrooms. Split floor plan and elegant granite counter tops throughout make this home perfect all around. Backyard covered porch is 16x10 and perfect for outdoor entertaining. 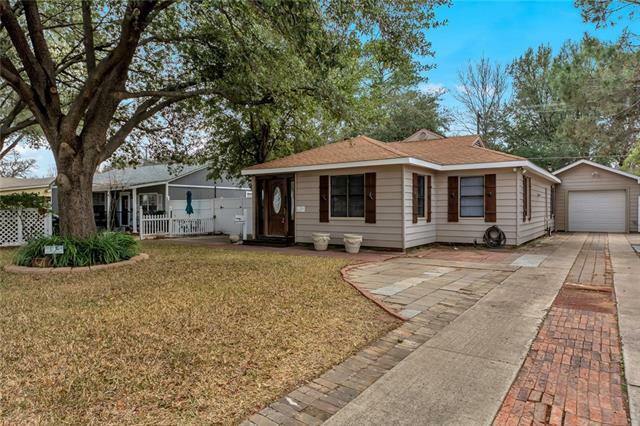 Home i"
"Renovated three-bedroom, single story home in River Oaks on spacious, fenced treed lot with covered back patio and covered carport. Neutral colors. Recent roof, water heater, paint, carpet, bath, fixtures, countertops, and refinished floors. Kitchen features natural wood cabinets, refrigerator, dishwasher, double sink, dining area and full-size utility closet with washer and dryer. HVAC system installed 8-2017. Original hardwoods!" "Awesome 2 bedroom, 1 bath in River Oaks that has recently been remodeled. Both bedrooms are good size. New paint inside and outside. Kitchen equipped with gas appliances and newer cabinets. The wood floors are beautiful. A large lot. This is a great home! Schedule your appointment today! Close to Lockheed Martin and tons of shopping and entertainment." "THIS HOME HAS BEEN A RENTAL PROPERTY FOR MANY YEARS AND NEEDS SOME TLC . SELLER WANTS TO SELL TOTALLY AS IS . THERE ARE NO UPDATES BUT IT HAS LOTS OF POSSIBILITIES FOR THE RIGHT PERSON THAT HAS VISION BEYOND THE PRESENT CONDITION . IT COULD BE A DOLL HOUSE WITH A LITTLE PAINT AND IMAGINATION . THERE ARE HARD WOODS UNDER THE PRESENT CARPET. THE GARAGE AT THE MOMENT HAS A TEMPORARY WALL FOR AN EXTRA SLEEPING AREA"
"MULTIPLE OFFERS RECEIVED - Highest & Best Offer Deadline by 4-25-2019 5pm. Cash Only! 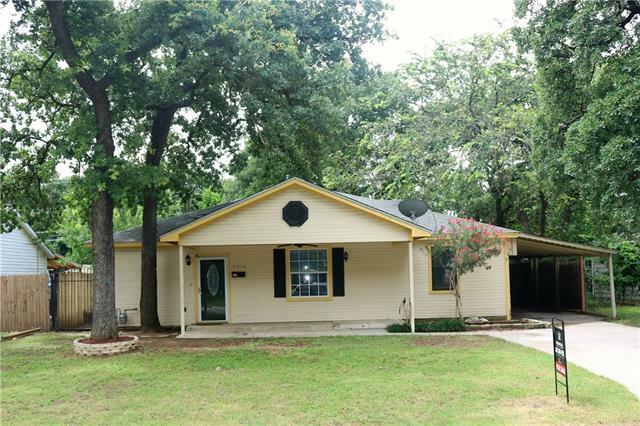 Hurry to this 3 bedroom home in River Oaks - Great corner lot with lots of potential! With a little love this home could be darling."